Humour is always the best way to detonate a tense situation. It is also an excellent way to get people who you might have fallen out in life with way back. There are times when people disagree and argue and part ways. This leaves behind a void. It is perceivable that at some point or the other, they fall back on the ones they left behind. That is when forgiveness plays a major hand. By forgiving the ones who disappointed them, they can learn how to be friends and strengthen their relationship again. Funny forgiveness quotes can provide that laugh or smile that can trigger a new beginning in a relationship. By reading up on some of the forgiveness quotes on our site, you can implement the same in your life. 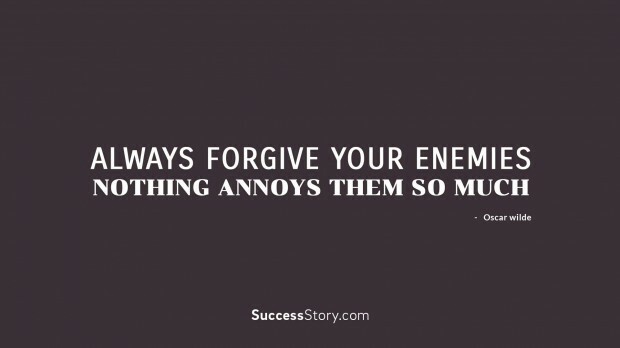 Life is too short to hold grudges against anyone and forgiveness is always the best way forward. Life and time wait for no one. The years fly by. We won’t even realise that we are getting old. When the time is right, people should extend the olive branch and forgive and forget. It always brings a warm feeling to one’s heart knowing that someone who they were once great friends with or someone whom they had a good relationship with is back in their lives.